It looks like Titans‘s Starfire and Raven will be wearing their iconic comic book costumes later this season on the DC Universe original series. 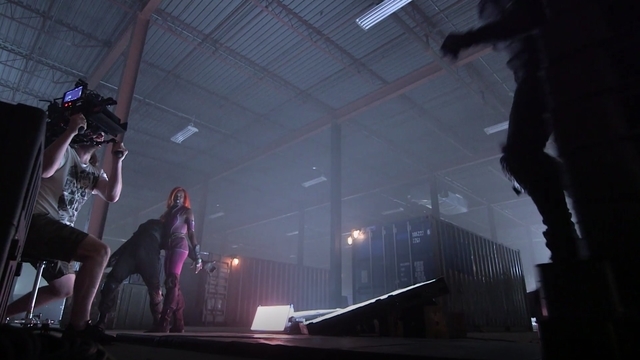 Via ComicBook.com, DC Daily featured behind-the-scenes footage from the show.. These scenes show a step forward from their appearances in the first episode. 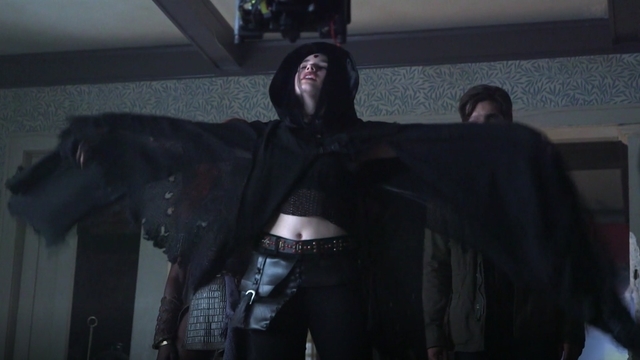 Raven/Rachel Roth (Teagan Croft) wears a long hooded cape and she has Raven’s signature red mark on her forehead. Starfire/Kory Anders (Anna Diop) has straight purple hair and a bodysuit closer to her more recent look than the space bikini she previously wore. No dates or episode details were provided for when these scenes will air on the series. Both Croft and Diop say their characters will evolve over the course of the season. The series is an origin story and it will take time for Starfire, Raven, and the rest of the characters to mirror their comic book counterparts. Titans is scheduled for a 12 episode first season on DC Universe. A second season has already been given the greenlight, and a Doom Patrol spinoff is also on the way. While these photos are closer to Raven and Starfire’s comic book outfits, there is still a lot of story ahead for the Titans. All of this gives us hope that the “F— Batman” line will eventually make sense as well. New episodes of Titans debut every Friday on DC Universe. What do you think of these new costume images? When will we see more Beast Boy? Let us know in the comment section below.